Organic Malt Extract - Perfect for Baking! Powdered malt extract is a stone-milled fine powder made from superior quality organic malt. It is naturally rich in Vitamin E, Vitamin B, Folic Acid and minerals like Calcium, Iron and Magnesium. 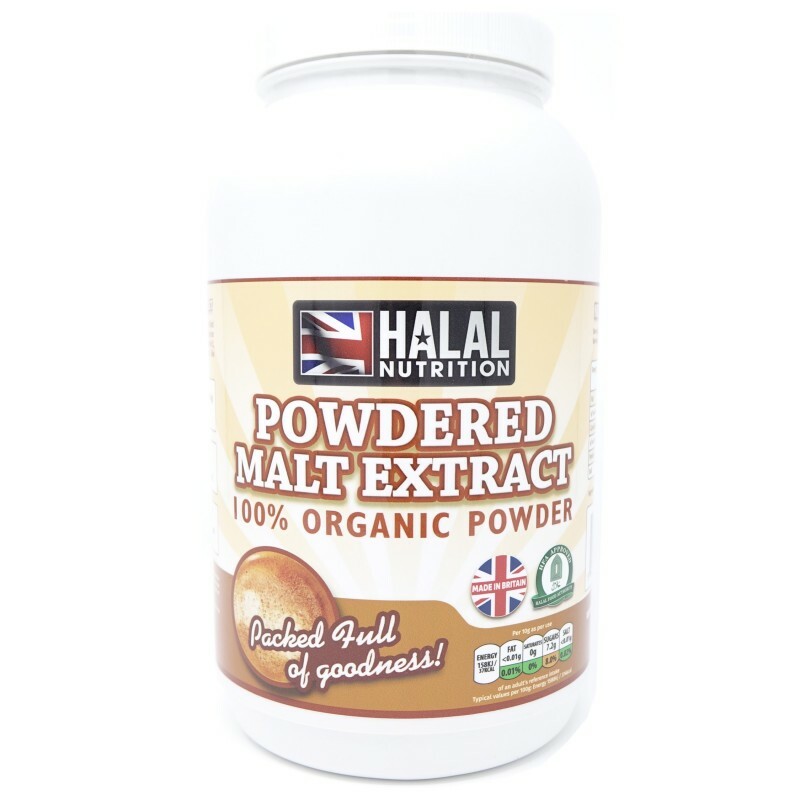 Halal organic malt is naturally high in protein and low in fat.